Nevada business owners and executives are more confident about the state’s economy than the nation as a whole but four of 10 fear a U.S. recession in 2020. Despite those concerns, the survey of 400 business owners and executives conducted by Nevada State Bank are still considered positive based on its six years of history. Some 81 percent said the state’s economy is headed in the right direction, about 11 percent more than the U.S. economy. That’s down from 87 percent last year but still above the 77 percent in 2017. Three of five of those surveyed said the business environment has gotten better in the past year, and 53.5 percent saw their business revenues or sales increase in the past 12 months. Almost 40 percent said business profitability increased 3.2 percentage points. 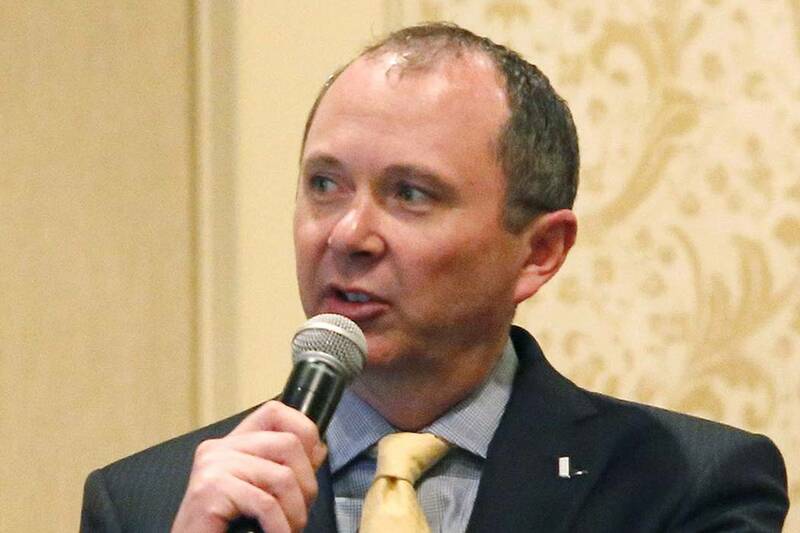 Nevada State Bank President and CEO Terry Shirey said they expected “a tempering of optimism” after the record high of 2018. It’s a good sign that nearly half expect the state’s business environment to get better over the next year and 60 percent expect their revenues or sales to increase, he said. Nearly 98 percent said they plan to maintain their employment levels or higher more employees. The survey conducted by research firm Applied Analysis includes business owners and executives with annual sales ranging between $250,000 and $10 million. One of those surveyed was Sally and Randy Donald,the owners of Design Builders, a general contractor that’s been in business for 31 years. “It’s slowed a little bit from last year but projects are still coming on board,” said Sally Donald, the office manager. The company is building an apartment building and commercial building in downtown Las Vegas among some of its ongoing projects, Randy Donald said. Business owners still have their concerns as evidence by 42 percent expecting a U.S. recession in 2020. But, Shirey add that means 58 percent don’t think there will be one. Randy Donald said he doesn’t think there will be a recession in 2020 but doesn’t rule out a slowdown. Because of what happened last decade with the Great Recession, business owners are being more conservative to be prepared, he said. Health care costs at 44 percent was the top concern with the others including government regulations, business taxes and hiring and retaining employees. Shirey said business taxes fell below government regulation for the first time after the implementation of federal tax cuts in 2018 that made that less of a concern. More than 69 percent said it was somewhat or very difficult for them to recruit quality candidates, up less than 1 percent from last year’s survey. A shortage of candidates with sufficient experience was the most common reason cited for this challenge, as well as difficulty finding candidates within the market, Shirey said. Statewide, more than 56 percent of respondents were either moderately or very concerned about the price of available housing in their communities. In Northern Nevada, more than 47 percent said they were very concerned about this issue, while fewer than 23 percent of Southern Nevadans said the same, Shirey said. Some 39 percent of business owners and executives said they are in favor of using incentives to attract new businesses and investments to the state. In a new survey question, 38 percent said they believe bringing in major sporting events to Southern Nevada will have a positive impact for small business. In addition, there’s ancillary business from sports medicine and employees of those sports teams beyond athletes who need homes, Shirey said. Randy Donald said it’s exciting with what’s going on in sports with the construction of the Raiders stadium near the Strip and the team’s practice facility in Henderson and the ancillary effects of the Golden Knights.